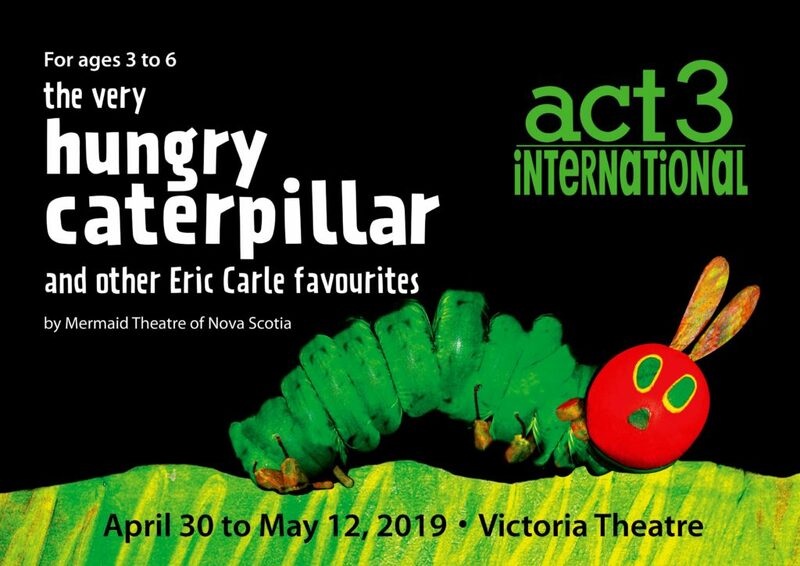 ACT 3 International is proud to present a much-loved returning favourite The Very Hungry Caterpillar & Other Eric Carle Favourites by Mermaid Theatre of Nova Scotia, Canada! This magical work of black light theatre brings together the beloved tales of award-winningchildren’s book illustrator and writer Eric Carle – The Very Hungry Caterpillar; Little Cloud, and The Mixed Up Chameleon – and is suitable for 3 to 6 year olds. Three meaningful stories will be presented – The Very Hungry Caterpillar follows the adventures of a tiny and hungry caterpillar and its eventual metamorphosis into a beautiful butterfly. Little Cloud is a charming tale of how it decides to stray away from his fellow mates to go on an adventure that finds him morphing into various objects such as a sheep, clown and even a shark! Finally, in The Mixed Up Chameleon, toddlers will be able to associate colours and meanings with objects through the reptile who eventually embraces his uniqueness after an identity crisis happens. Mermaid Theatre’s version mirrors the book’s stunning illustrations drawn in thick, brilliant brushstrokes of blues, greens and reds.